A few months ago, we posted an article about a new operating system designed specifically for the Raspberry Pi devices. ROKOS, as this system is called, is of particular interest to RPi users who favor cryptocurrencies. After going through several releases over the past few months, the ROKOS operating system has become a viable contender for any other Raspberry Pi distribution. What makes the ROKOS operating system, so appealing is how the small software package works across most common tiny computers. All Raspberry Pi Models, as well as the Banana Pi and other Internet of Things devices, can make use of this software without any problems. All it takes is an SD card to use with your device, and setting it up shouldn’t take all that long. Mainly cryptocurrency enthusiasts will take a liking to this operating system, as it offers everything one could be looking for. Bitcoin is supported, of course, but other prominent altcoins are supported by ROKOS as well. Among these currencies are Dash, Expanse, and BlackCoin, to name a few. 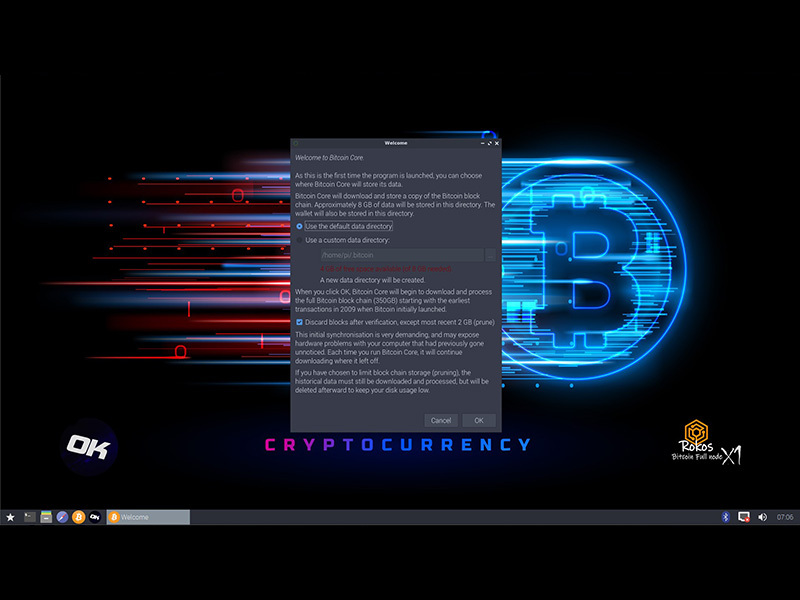 For those ROKOS users looking to explore the altcoin side of things, users can set up their full node or wallet client immediately. More importantly, this operating system supports proof-of-take, which lets users gain interest from their balances without having their regular computer turned on 24/7. On the Bitcoin side of things, ROKOS is designed to offer similar service, minus the proof-of-take part. Everyone who has ever wanted to set up a Bitcoin node can do so with a Raspberry Pi, albeit on the latest models will provide enough hardware power to make the operation run smoothly. Do keep in mind external storage will be needed to download the whole blockchain, though. Foss Force recently posted an article about foul alternative operating systems for the Raspberry Pi. Among these proposed ideas is ROKOS, as the Foss Force team acknowledges the value cryptocurrency-based operating systems have to offer. A positive sign for Bitcoin and altcoin enthusiasts all over the world, that much is certain.